Can I see a product demonstration before I start my evaluation? Yes, you can view introductory videos on our website. In the US, Canada and some other countries, you can also request a live demonstration via web meeting software and your browser. What's the best approach for evaluating PDXpert PLM software? We have created these step-by-step tutorials for creating a few parts, documents, a simple bill of materials (BOM), and then releasing these using a change form. Other administrator-oriented tutorials describe installation, setting up part numbering and change workflow, and importing your existing part & document data. After you have a basic working knowledge, the extensive help system can guide you (press F1 on any PDXpert window, also available on-line), and we offer personal configuration assistance to meet your specific needs. We suggest that you download and install PDXpert PLM, and model your system configuration for yourself and your colleagues. When everyone's satisfied with your new PLM process, you're ready! Yes. We want you and your colleagues to fully evaluate the software as you'd actually use it. Since the actual production software is installed for your evaluation, you can add or remove user accounts to allow everyone to try PDXpert before you buy. The evaluation period expires 21 days after you enter the first part, document or change into the PDXpert PLM database. You'll be asked to provide a license registration key at the expiration, but your data will remain intact. All previously-entered data will be available after you enter the license registration key. The 3-week evaluation period won't start until you enter a part, document or change into the PDXpert system. This allows you to take as long as you want to set up the system rules and collections to model your development and production environment. We suggest that, just prior to entering your first part or document, you take a backup of the configured database. This will allow you to restart the evaluation if you decide to change your configuration design or if the evaluation period expires before you finish your assessment. If you need a bit more time to complete your evaluation, simply contact us for an extension. You need only three things: (1) the PDXpert PLM application, (2) the alternative PLM product, and (3) an understanding of how your engineering and production processes will be defined. Getting a free copy of PDXpert PLM is easy: just download it from this website. Which of the other two is more challenging depends upon the evaluation policies of the other PLM supplier, and whether there's general agreement within your company on what PLM practices you want to adopt. OK, I'm ready to try out PDXpert software. How do I start? Download the PDXpert System Setup — we'll send you an email with links to our download page. This installs the PDXpert Server, a free Microsoft SQL Server Express Edition database engine and a PDXpert client on one PC. Additional PDXpert clients can also be installed on other networked PCs. Advanced technical considerations can be reviewed in the PDXpert PLM Installation Guide. About 5 to 10 minutes if you follow the recommended system requirements and accept the default configuration. Of the major installation components (Microsoft .NET, the SQL Server Express Edition LocalDB database server, PDXpert Application Server, and PDXpert client), only the Microsoft component takes significant time; PDXpert itself takes only a couple of minutes. Fortunately, PDXpert installs all of these components for you, so it's quite simple. With the PDXpert client application installed, any computer can access product data from a branch office, shop floor, home, or on the road. Connect via your virtual private network (VPN) or using PDXpert's private encryption (see the Installation Guide for details). In addition, the PDXpert server's installed client (or other internal network client) can be used via Remote Desktop (RDP). Unlike browser-based systems, PDXpert's performance is enhanced with significant intelligent client-side caching. Of course, engineering data is often large and complex, and your users will always benefit from a fast internet connection. I have 12 people who'll need to access the PLM system. How many log-in accounts do I need? Twelve — PDXpert is licensed by named user account. A log-in account is assigned exclusively to one person. Yes. Whenever you wish, you can delete one person's log-in account and assign it to a different person. You don't need to tell us when you reassign the accounts you've purchased. A full-function user account permits users to create new part, document and change records; add file attachments to the system library; review, comment on, and approve change forms; and configure the system through the administrator role. You can easily select (and change) permissions applied to each user account. A read-only account allows a user to view, report and export existing records and files, but not create, edit or approve data. Each full-function license can support whatever permissions you want to assign to the account: guest, normal user, approver, analyst, administrator or any combination. The server license is bundled into the cost of the system, so there's nothing extra to buy. PDXpert relies on Microsoft SQL Server for database services, and the PDXpert server installer will, by default, install a free SQL Server Express database. SQL Server Express is quite capable for smaller systems, but we think you'll need to purchase a license from Microsoft for a higher performance edition after you get beyond about 10 to 20 users. I've decided to buy, and want to continue using PDXpert PLM while my company processes your invoice. Can you send me a license immediately? Yes. We usually issue a temporary license key the same day that we receive your order. After we receive your payment, we'll send you the final perpetual or subscription license key. Can existing part and assembly data be imported from my purchasing and manufacturing ERP system into the PDXpert PLM database? Yes, there are two basic approaches. PDXpert can import part/document lists, bills of materials, qualified supplier part lists, file attachments, part substances, custom attributes, organizations and persons using the built-in External Data Importer utility. Simply copy your data into the spreadsheet formats as described in our help file, and follow the import instructions. We have an on-line tutorial that introduces the basic ideas. We can also perform these steps — and much more — for you. If you have complex data, need to recreate complete item histories, or want to migrate your data from another PLM system, we can help. The extracted data should be in a reasonably standard format, either as a native database backup or something like CSV. We typically quote the work on a per-day basis, but will also consider a fixed-cost project bid if the conversion/import appears straight-forward. Yes, you can reformat this data for the External Data Importer, or we can import your product data for you. We'll first need some sample files to understand how your data maps to the PDXpert PLM data attributes. To minimize the cost of conversions, all of your data should be accurate and the format should be consistent. Otherwise, we can do some manual pre-processing at additional cost. Using either the External Data Importer or our professional services, your files can be attached to the items in the PDXpert database. All files managed by PDXpert PLM are copied into the library folder, and then tied to the related part or document. To do this accurately, there must be a predictable relationship (or lookup table) between the library file and its related item record. We've developed tools for extracting useful data from file titles and contents. Your existing part, document and change information can be moved into PDXpert PLM with very good fidelity. Based on our previous experience, we can advise how data attributes and configuration settings are mapped between PLM systems. Since each PLM system's change workflow is quite different, all in-process changes should be completed prior to moving. Contact us for more system-specific recommendations. What's the normal workflow for creating a new CAD design? PDXpert will be responsible for item management, and in particular assigning new item numbers, types, descriptions and possibly custom attribute values. After creating the components required by your CAD system, you'd incorporate these into your design. When the design is complete, the BOM can be exported from your CAD and imported into a new PDXpert assembly; the design files (fabrication and assembly drawings, specifications, etc.) will be attached to the appropriate PDXpert revision record(s). The PDXpert database provides database views that can be accessed via the Open Database Connectivity (ODBC) standard. A CAD application that supports ODBC queries can access PDXpert's part database. In addition, parts within PDXpert can be assigned custom attributes that support specific requirements, such as schematic symbols, part attribute values, layout footprints, etc. Most CAD applications can export a bill of materials in a structured text file (CSV, XML, XLS, etc.). PDXpert uses a special XML file, called a Data Transformation (DT), to interpret and recreate the BOM within the product structure. The PDXpert system includes a standard BOM importer, and custom DTs can be added. Although you can create your own Data Transformations using standard XML authoring tools, we can easily create the DT for you at a very reasonable cost. PDXpert has standard manufacturing attributes like unit of measure, make/buy, unit cost, packaging quantity, minimum order quantity, process time, lead time, inventory location. These are intended allow design-time estimates of (for example) cost roll-ups, and to initialize downstream ERP/MRP system records. You can add custom attributes for other manufacturing data. However, PDXpert software manages engineering "as-designed" product configurations. PDXpert doesn't process demand forecasts, purchase orders, inventory receipts, stock balances, or similar inventory balance transactions. A separate MRP system is the appropriate tool for managing "as-built" configurations. PDXpert exports industry-standard IPC-2571 product data exchange ("PDX") packages. A PDX file is a specialized "zip" format that includes parts, BOMs, approved source parts, file attachments and other product data. We also publish one of the most popular	PDX viewers, the free PDXplorer Viewer. PDXplorer Viewer is available to your supply chain partners for reading & extracting your PDX package data. Yes, PDXpert offers three methods for moving part, BOM and qualified supplier data into downstream systems such as ERP/MRP. PDXpert's Data Transformation facility can export data into the ERP/MRP system's preferred import format. Your ERP/MRP may use an ODBC connection to make real-time part, BOM, supplier and change queries against the PDXpert database. In addition, some ERP/MRP systems can read and import PDX packages. Yes, the External Data Importer tool can import updates to many item-level attributes, including part costs. PDXpert PLM has very flexible numbering and revision capabilities. It can accommodate most of the common approaches for automatic numbering, including category-based prefixes (e.g., resistors are RES-??????) and iteration suffixes (e.g., ????? ?-001), or both (RES-??????-001). The sequential value can be defined to begin at any point, and can include both letters and numbers. Yes. Our support includes a detailed installation guide, a pre-configured "starter" database, and advice via phone, email or web meeting. If you wish, we can even "visit" your computer via our remote support tool to help you configure your system. It's also quite cost-effective to exchange configuration data (or even complete databases) via email or FTP. The most common method is to view the on-line tutorials, go through the step-by-step evaluation procedure, and read the "How to" sections of the help file. These materials are freely available before your purchase, so you can judge whether the software will be a good fit for your organization. And in the US, Canada and several other countries, we can provide live training sessions via web meeting. All web-based training is included in your maintenance, support and updates subscription. Although almost all customers find web-based training sufficient, we can visit your facility. This visit is typically tailored for your company's environment, and therefore we suggest that we begin user training only after the PLM system has been configured and the database has been populated with your data. We can help your administrators with these activities, so it may be most efficient to combine on-site configuration and administrator training, followed by user training. We charge a per-day fee for on-site activities; all travel expenses must be pre-paid. Please contact us for details. Am I obligated to purchase maintenance, support and updates (MSU) with my software license? If you're buying a perpetual license, you have the option of declining maintenance, support and update services. This gives you the permanent right to use your original PDXpert PLM software, but your license key will not work with updated software releases containing new features and improvements, and telephone and email product support is quite limited. We recommend buying MSU with your initial perpetual license to obtain important system configuration and user training at no additional cost. Upon renewal, use your support and update experience to assess the utility of subsequent annual MSU purchases. Subscription licenses always include MSU services. Yes, if you have a perpetual license, there are two paths to acquiring upgrades. The typical path would be to purchase a new MSU subscription for the perpetual licenses you currently have. Since upgrades require that you be current on MSU, the amount you'll owe will depend on how long you have been without MSU. If you want a one-time upgrade without MSU, then we offer discounts based on the date of your last purchase. We can help you choose the most economical alternative. We publish new releases several times annually. A major release would add notable new user and/or administrative capabilities. Minor releases refine existing functions, address customer requests and enhance product performance. To get a feel for the extent and frequency of our updates, view our release notes. Absolutely! Many of our product enhancements are a direct result of feedback from our customers. 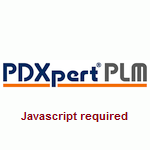 Who decides what "PLM best practices" are, and does PDXpert PLM require me to use them? Many people don't realize that there's a robust, formal engineering discipline called "configuration management" that's been evolving since the 1960s. Although you're welcome to take advantage of our configuration management expertise, you will have substantial control over which practices you adopt. Many practical suggestions are offered in the configuration sections of the PDXpert PLM help file, and efficient practices are discussed on this website. There are only a few best practices that are hard-coded into PDXpert PLM. The principal one is that items with the same item identifier (e.g., part number) are fully interchangeable between revisions. This allows PDXpert PLM to always display the latest item revision on a BOM, source or reference list without requiring a formal change to the higher-level item. In general terms, an organization that manufactures, sells, or distributes products, or provides services, that are controlled by the U.S. International Traffic in Arms Regulations (ITAR) may claim compliance with ITAR. The organization must register with the Directorate of Defense Trade Controls (DDTC), know how to comply with the ITAR, and self-certify its compliance. A product may be controlled by the ITAR, but it cannot be claimed as ITAR compliant. Active Sensing, Inc. (ASI) does not manufacture, sell or distribute goods or provide services controlled by the ITAR. PDXpert PLM software is used to record and organize your design decisions; it's conceptually similar to a pad of notepaper or file cabinet. used only by persons who know how to handle technical data controlled by the ITAR. PDXpert software cannot be installed into a computer system that you sell or distribute. This interpretation does not constitute legal advice. Although PDXpert software is used within ITAR environments, such use may not be relevant for your situation; always consult your ITAR compliance officer or similar qualified professional. The Food and Drug Administration (FDA), Underwriters Laboratories (UL) and similar entities do not certify a tool, they approve a process. PDXpert has been designed to assist you in obtaining and maintaining approval of your quality management process. For example, see PDXpert software features: 21 CFR Part 820 - Quality System Regulation, 21 CFR Part 11 Electronic Signatures, and ISO 9001:2008. We can assist you in configuring PDXpert software to meet your quality management requirements.